Marvin Minksy, who died on Sunday, was a pioneering researcher in the field of artificial intelligence. Our Profile, from 1981. Not much was expected of the programmed robot. . . . Although the organizers had made Gammonoid the symbol of the tournament by putting a picture of it on their literature and little robot figures on the trophies, the players knew that existing microprocessors could not give them a good game. Why should the robot be any different? This view was reinforced at the opening ceremonies in the Summer Sports Palace in Monaco. At one point the overhead lights dimmed, the orchestra began playing the theme of the film “Star Wars,” and a spotlight focused on an opening in the stage curtain through which Gammonoid was supposed to propel itself onto the stage. To my dismay the robot got entangled in the curtain and its appearance was delayed for five minutes. I could hardly believe this finish, yet the program certainly earned its victory. There was nothing seriously wrong with its play, although it was lucky to have won the third game and the last. The spectators rushed into the closed room where the match had been played. Photographers took pictures, reporters sought interviews, and the assembled experts congratulated me. Only one thing marred the scene. Villa, who only a day earlier had reached the summit of his backgammon career in winning the world title, was disconsolate. I told him that I was sorry it had happened and that we both knew he was really the better player. If one thoroughly understands a machine or a program, he finds no urge to attribute “volition” to it. If one does not understand it so well, he must supply an incomplete model for explanation. Our everyday intuitive models of higher human activity are quite incomplete, and many notions in our informal explanations do not tolerate close examination. Free will or volition is one such notion: people are incapable of explaining how it differs from stochastic caprice but feel strongly that it does. I conjecture that this idea has its genesis in a strong primitive defense mechanism. Briefly, in childhood we learn to recognize various forms of aggression and compulsion and to dislike them, whether we submit or resist. Older, when told that our behavior is “controlled” by such-and-such a set of laws, we insert this fact in our model (inappropriately) along with other recognizers of compulsion. We resist “compulsion,” no matter from “whom.” Although resistance is logically futile, the resentment persists and is rationalized by defective explanations, since the alternative is emotionally unacceptable. When intelligent machines are constructed, we should not be surprised to find them as confused and as stubborn as men in their convictions about mind-matter, consciousness, free will, and the like. For all such questions are pointed at explaining the complicated interactions between parts of the self-model. A man’s or a machine’s strength of conviction about such things tells us nothing about the man or about the machine except what it tells us about his model of himself. In later years, I had not been in touch with Minsky, but about a year ago, when I realized that something very new in the way of technology was engulfing us, I decided to look him up and ask him about it. I knew that he had been in the field of what is now called artificial intelligence, or A.I., even before it had a name. (The term “artificial intelligence” is usually attributed to John McCarthy, a former colleague of Minsky’s at M.I.T. McCarthy, a mathematician and now a professor of computer science at Stanford, coined the phrase in the mid-nineteen-fifties to describe the ability of certain machines to do things that people are inclined to call intelligent. In 1958, McCarthy and Minsky created the Artificial Intelligence Group at M.I.T., and it soon became one of the most distinguished scientific enterprises in the world.) During our talks, Minsky proved to be a fascinating conversationalist, with an engaging sense of humor and a luminous smile. He has one of the clearest minds I have ever encountered, and he is capable of elucidating the most complicated ideas in simple language—something that is possible only if one has a total mastery of the ideas. Our conversations took place both at his M.I.T. office and at his home, near Boston. He lives in a sprawling house with his wife, Gloria Rudisch, who is a prominent Boston pediatrician, and two of their children—Julie and Henry, eighteen-year-old twins. The Minskys’ oldest child, Margaret, who is twenty-three, graduated from M.I.T. and is now studying astronautics and designing educational programs for home computers. That a doctor lives in the Minsky house one might deduce from various books and medical supplies at hand, but the interests of the other residents would be a real challenge to figure out. On a table during one of my visits I noticed a fireman’s hat with a red light on it, and, on another table, a sizable plastic shark. Mounted on a wall was a wrench so large that at first I took it for a playful sculpture of a wrench. On the wall near the wrench was what appeared to be a brass alpenhorn—one of several musical instruments in the house, the others being three pianos, two organs, and a Moog synthesizer. Minsky spends many hours composing and improvising, and hopes to make a record of some fugues he has composed in the baroque style. There were also innumerable recording instruments and a huge jukebox—a present from Minsky to his wife. Minsky’s office in the Artificial Intelligence Laboratory at M.I.T. is equally crowded. There is a plastic statue of a robot. There is a surprisingly lifelike cloth plant. There is also the inevitable computer terminal. The lab has its own large computer, which, over the years, has been rigged with just about every bit of programming anyone could think of. It can open doors in the lab and summon the elevators in the building; it has had mechanical arms attached to it, and special television cameras, to simulate vision, and a radio transmitter, to operate remote-controlled robots. There is also a trophy on it for a chess tournament it once won. Initially, the laboratory was in a ramshackle building that housed a Second World War electronics laboratory, but since 1963 it has been housed on three floors of a modern nine-story building overlooking Technology Square, just across the street from the main M.I.T. campus. About a hundred people work in it, including seven professors, most of them former students of Minsky’s; some twenty-five graduate students; and a corps of people whom Minsky refers to affectionately as hackers. These hackers—computer scientists call an elegant bit of programming a hack—are mostly people who entered M.I.T. and became infatuated with computers. Some never bothered to get their bachelor’s degree, but several have gone on to acquire advanced degrees. One day, Minsky took me on a tour of the A.I. Laboratory, and explained something of its evolution. When he and McCarthy formed the Artificial Intelligence Group, it consisted only of them and a couple of students. About a year later, when Minsky and McCarthy were talking in a hallway at M.I.T., Jerome Wiesner, who was then directing the school’s Research Laboratory of Electronics, happened by and asked them what they were working on. He found their answers so interesting—McCarthy was initiating a system of time-sharing for computers and was also creating a new and extremely sophisticated computer language, and Minsky was beginning his attempts to get computers to do non-numerical things, such as reasoning by analogy—that he asked them if they needed money for their work. They said they could use a little money for equipment and for students. Not long before, Wiesner had received a joint grant from the armed services to do scientific research, so he was able to provide the money they needed. For some years, they never once had to write a research proposal. Things changed, though, and the laboratory now gets its money—some two and a half million dollars a year—from various government agencies, which require written proposals. In 1968, when the group formally became the Artificial Intelligence Laboratory, Minsky became its director—a job he held until 1973, when he got tired of writing the funding proposals and turned the directorship over to Patrick Winston, one of his former students. On my tour of the lab, I noticed a giant drawing—perhaps six feet by fifteen—of what I thought at first might be the street plan of a large city. The drawing was taped to a wall on the eighth floor. Minsky told me that it was an engineering drawing of a computer chip, and that the lines were circuits that were photoengraved on the wafer. In fact, the drawing was of the circuitry on a chip that was an essential part of the first microcomputer designed expressly for artificial-intelligence work. That computer was designed by Gerald Sussman—a former student of Minsky’s, who is now a professor of electrical engineering at M.I.T.—and some of his students. Minsky then took me down to the third floor to see the actual chip. It was less than half an inch square, or roughly a hundred thousand times smaller than its circuitry diagram, and we had to put it under a microscope just to see the circuitry lines. On computer chips, a transistor exists where two circuitry lines cross; each transistor is about seven micrometres across—about the size of a red blood cell. The next generation of transistors will be only a fourth as large. While we were on the third floor, Minsky also showed me a computer that he had designed and built. In 1970, he became convinced that a computer that could produce animated visual displays would be an extremely valuable aid in schools. “Even young children become deeply engaged with ideas about computers when they can literally see what they are doing by creating moving pictures on a screen,” Minsky told me. “So I designed this computer capable of making two million dots a second on the screen—enough for realistic animation effects.” By comparison, typical hobby computers can draw only a few thousand dots a second. Moreover, they cannot display a whole book-size page of text, so Minsky included a second screen on his computer which had room for six thousand alphabetical characters, so that children could edit their compositions on it. One fifth grader in Lexington, Massachusetts, programmed a garden of flowers that appeared on the screen and grew according to laws that the child wrote into his program. Minsky called his computer the 2500, because he thought that its price for schools would be twenty-five hundred dollars. For a year, he immersed himself in its design, and learned to read circuit diagrams as if they were novels. “By the time I finished, I knew what happened in about two hundred different kinds of computer chips,” he told me. His work was helped along by the work of the Artificial Intelligence Laboratory at Stanford, which John McCarthy had formed in 1963: it had developed programs that automatically analyzed circuit diagrams for short circuits and other flaws. Using these programs on his own computer console, Minsky sat in his office and designed his machine. It needed some three hundred chips, which he ordered from the Texas Instruments catalogue. Its circuits required twenty-four pages of drawings. 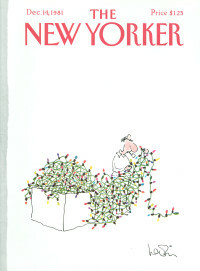 “Wiring a computer used to be a huge task,” Minsky noted. “But in this case my son, Henry, and I were able to do it ourselves by making use of a computer program that some of my friends at Stanford had written. It automatically did the most repetitive parts of the design and checked for mistakes. The best part was that we could put the whole thing on magnetic tape, which could be read by an automatic wiring machine that actually made the connections on the back of a huge panel of chip sockets. When that was done, we had to plug the three hundred chips in and attach power supplies, keyboards, and television screens. It wasn’t all that easy, but it did prove that a small group of people—together with a helpful computer-design program—could do better than a large industrial-design division.” By this time, Seymour Papert, a South African mathematician, had come to the A.I. Laboratory. In the late fifties, Papert had been working in Jean Piaget’s renowned child-psychology laboratory, in Geneva, and he had a professional interest in the education of children. He made a special mathematical language for the machine—one that he and Minsky thought children might like—called the LOGO language. Minsky showed me how to use it to get the machine to draw all sorts of polygons on its display screen and make some of them rotate like propellers. He hadn’t used the program for a while, and at one point he was stopped by a display that read, “POLY WANTS MORE DATA.” The data were supplied. In the early seventies, Minsky and Papert formed a small company to market the machines, but within a few years it went broke. “Seymour and I weren’t very good at getting people to part with their money,” Minsky said. Many schools seemed to like the machine, but they often took as long as three years to come up with the money, and the company was hurt by the delays. “Our company ran out of money, because we had not realized how much time it would take for teachers to persuade school boards to plan budgets for such things,” Minsky told me. “Finally, we gave the company to a Canadian friend, who found that business people could learn Papert’s LOGO language as easily as children could. His company became successful—but in the field of business-data processing. Seymour and I went back to being scientists.” In the past year, the people working on LOGO have managed to find ways of programming it into some of the popular home computers, and Minsky and Papert are again trying to make it available to children, since the machines have now become cheap enough for schools to buy. In a few years, Minsky thinks, they should become as powerful as his original 2500. Minsky was born in New York City on August 9, 1927. His father, Henry Minsky, was an eye surgeon who was also a musician and a painter, and he became head of the department of ophthalmology at Mount Sinai Hospital; his mother, Fannie, has been active in Zionist affairs. Minsky has two sisters—Ruth, who is younger, and Charlotte, who is older. Charlotte is an architect and a painter, and Ruth is a genetics counsellor for the Committee to Combat Huntington’s Disease. Minsky is like many other gifted mathematicians in that he can find no trace of a mathematical bent in his background, and also in that he has mathematical memories that go back to his earliest childhood. He recalls taking an intelligence test of some sort when he was about five. One of the questions was what the most economical strategy was for finding a ball lost in a field where the grass was so tall that the ball could not be seen immediately. The standard answer was to go to the center of the field and execute a spiral from the center until the ball was found. Minsky tried to explain to the tester that this was not the best solution, since, because you would have had to cross part of the field to get to the center in the first place, it would involve covering some of the area twice. One should start from the outside and spiral in. The memory of being unable to convince the tester of what appeared to Minsky to be an obvious logical point has never left him. “Everyone remembers the disillusion he experienced as a child on first discovering that an adult isn’t perfect,” he said recently. The five-year-old Minsky must have made a favorable impression nonetheless, since on the basis of the test results he was sent to an experimental public school for gifted children. He hated the school, because he was required to study tap dancing. Soon after his enrollment, however, his parents moved from Manhattan to Riverdale, in the Bronx, and he entered a public school there. He also disliked that one. “There were bullies, and I was physically terrorized,” Minsky told me. “Besides, a teacher wanted me to repeat the third grade because my handwriting was bad. My parents found this unreasonable, so in 1936, when I was in the fourth grade, I was sent to Fieldston—a progressive private school. Minsky finished the eighth grade at Fieldston in 1941, and in the fall of that year he entered the Bronx High School of Science. Bronx Science had been created just three years before to attract and train young people interested in the sciences. (Two of the 1979 Nobel laureates in physics—Steven Weinberg and Sheldon Glashow—were classmates at Bronx Science in the late forties, along with Gerald Feinberg, who is now the chairman of the physics department at Columbia, and during their senior year there the three taught themselves quantum mechanics.) “The other kids were people you could discuss your most elaborate ideas with and nobody would be condescending,” Minsky said in recalling his experience there. “Talking to people in the outside world was always a pain, because they would say, ‘Don’t be so serious—relax.’ I used to hate people saying ‘Relax.’ I was a hyperactive child—always zipping from one place to the next and doing things very fast. This seemed to bother most adults. But no one at Science felt that way. Later, when I went to Harvard, I was astonished at how much easier the course work was there than it had been at Science. I keep running across people I knew at Science—including Russell Kirsch, a computer pioneer who’s now at the National Bureau of Standards, and Anthony Oettinger, who’s a professor of applied mathematics and information-resources policy at Harvard. He was one of the first people to get a computer to learn something and to use computers for language translation. Frank Rosenblatt, who was tragically drowned in a boating accident in 1971, was also one of my classmates at Science.” Rosenblatt, who was a pioneer in artificial intelligence, became a researcher at the Cornell Aeronautical Laboratory, where he invented what was called the Perceptron. In the early nineteen-sixties, the Perceptron became the prototypical artificial-intelligence machine for a generation of young computer scientists. Minsky had been at the training center only two months when the war ended. “There really wasn’t anything for us to do, so we just spent a couple of months chatting. I finished up my term of enlistment at a naval base in Jacksonville, Florida, and then I was discharged—in time for me to go to Harvard as a freshman,” he told me. I asked Minsky if he had published his proof. I asked Minsky why it had not occurred to him to use a computer to simulate his machine. By this time, the first electronic digital computer—named ENIAC, for “electronic numerical integrator and calculator”—had been built, at the University of Pennsylvania’s Moore School of Electrical Engineering; and the mathematician John von Neumann was completing work on a computer, the prototype of many present-day computers, at the Institute for Advanced Study. Two years after Minsky began his fellowship, one of the more important events in the history of artificial intelligence occurred. This was the Dartmouth Summer Research Project on Artificial Intelligence, which took place in the summer of 1956. Earlier that year, Minsky and three colleagues—John McCarthy, who had been one of Minsky’s fellow graduate students at Princeton and was now a professor of mathematics at Dartmouth; Nathaniel Rochester, who was manager of information research at the I.B.M. laboratory in Poughkeepsie; and Claude Shannon, a mathematician at the Bell Telephone Laboratories in Murray Hill, New Jersey, for whom Minsky had worked in the summer of 1952—submitted a proposal to the Rockefeller Foundation for a conference on what McCarthy called artificial intelligence; their proposal suggested that “every aspect of learning or any other feature of intelligence” could be simulated. The Rockefeller Foundation found the proposal interesting enough to put up seventy-five hundred dollars for the conference. Needless to say, twenty-five years later the several participants in the conference have different ideas of what its significance was. Minsky told me a few of the things that struck him. “My friend Nat Rochester, of I.B.M., had been programming a neural-network model—I think he got the idea from Donald Hebb’s book ‘The Organization of Behavior,’ and not from me—on the I.B.M. 701 computer,” Minsky recalled. “His model had several hundred neurons, all connected to one another in some terrible way. I think it was his hope that if you gave the network some simultaneous stimuli it would develop some neurons that were sensitive to this coincidence. I don’t think he had anything specific in mind but was trying to discover correlations—something that could have been of profound importance. Nat would run the machine for a long time and then print out pages of data showing the state of the neural net. When he came to Dartmouth, he brought with him a cubic foot of these printouts. He said, ‘I am trying to see if anything is happening, but I can’t see anything.’ But if one didn’t know what to look for one might miss any evidence of self-organization of these nets, even if it did take place. I think that that is what I had been worried about when I decided not to use computers to study some of the ideas connected with my thesis.” The other thing that struck Minsky at Dartmouth has by now become one of the great legends in the field of artificial intelligence. It is the sequence of events that culminated when, in 1959, for the first time, a computer was used—by Herbert Gelernter, a young physicist with I.B.M.—to prove an interesting theorem in geometry. Minsky smiled and went on, “For me, the rest of the summer at Dartmouth was a bit of a shambles. I said, ‘That was too easy. 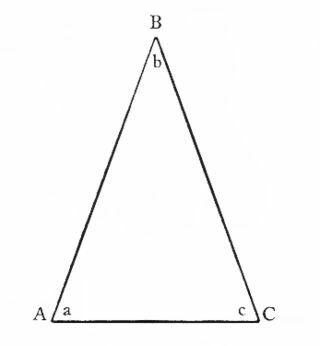 I must try it on more problems.’ The next one I tried was ‘If the bisectors of two of a triangle’s angles are equal in length, then the triangle has two equal sides.’ My imaginary machinery couldn’t prove this at all, but neither could I. Another junior fellow at Harvard, a physicist named Tai Tsun Wu, showed me a proof that he remembered from high school, in China. But Nat Rochester was very impressed by the first proof, and when he went back to I.B.M. after the summer he recruited Gelernter, who had just got his doctorate in physics and was interested in computers, to write a program to enable a computer to prove a geometric theorem. Now, a few months earlier, a new computer language called I.P.L.—for ‘information-processing language’—had been invented by Allen Newell, J. C. Shaw, and Herbert Simon, working at the Rand Corporation and the Carnegie Institute of Technology.” Newell and Shaw were computer scientists, both of whom worked for Rand, but Newell was getting his doctorate at Carnegie Tech with Herbert Simon, who was in fact a professor at the Graduate School of Industrial Administration. In 1978, Simon was awarded the Nobel Prize in Economic Science. “It was John McCarthy’s notion to combine some of I.P.L.’s ideas with those of FORTRAN—the I.B.M. programming language that was in the process of being developed—to make a new language in which the geometry program would be written,” Minsky went on. “Gelernter found ways of doing this. He called his new language FLPL, for ‘FORTRAN List-Processing Language.’ FORTRAN, by the way, stands for ‘formula translation.’ Well, FLPLnever got much beyond I.B.M. But a couple of years later McCarthy, building on I.P.L. and Gelernter’s work and combining this with some ideas that Alonzo Church, a mathematician at Princeton, had published in the nineteen-thirties, invented a new language called LISP, for ‘list-processing,’ which became our research-computer language for the next generation.” By 1959, Gelernter had made his program work. 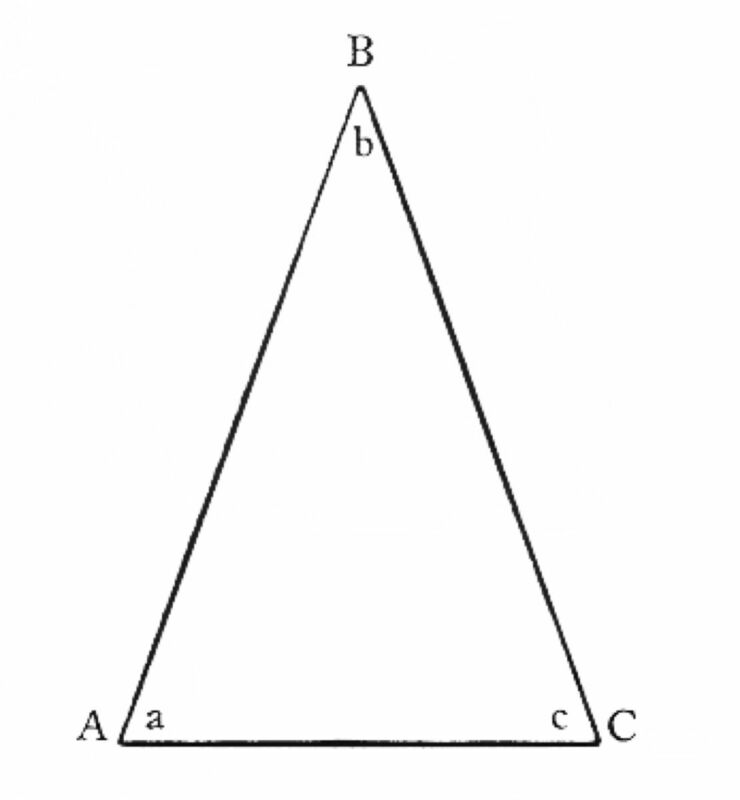 Having done that, he gave it the job of proving that the base angles of an isosceles triangle are equal. The computer found Pappus’ proof. Time-sharing is now used universally. It is even possible to hook up one’s home computer by telephone to, for instance, one of the big computers at M.I.T. and run any problem one can think of from one’s living room. The computer revolution in which people like Minsky and McCarthy have played such a large role has come about in part because of the invention of the transistor and in part because of the development of higher-level computer languages that have become so simple that even young children have little trouble learning to use them. The transistor was invented in 1948 by John Bardeen, Walter H. Brattain, and William Shockley, physicists then at the Bell Telephone Laboratories, and in 1956 they were awarded the Nobel Prize in Physics for their work. The transistor has evolved in many different ways since the days of the original invention, but, basically, it is still made of a material in which the electrons have just the right degree of attachment to nearby atoms. When the electrons are attached too loosely, as in a metal, they are free to move anywhere in the material. Hence, metals conduct electricity. Attached too tightly, as in an electrical insulator, the electrons cannot move freely; they are stuck. But in pure crystalline silicon and a couple of other crystalline substances the electrons are bound just loosely enough so that small electrical force fields can move them in a controllable way. Such substances are called semiconductors. The trick in making a transistor is to introduce an impurity into the crystal—a process known as doping it. Two basic types of impurities are introduced, and scientists refer to these as n types and p types—negative and positive. One substance used for doping the crystal is phosphorus, an n type. The structure of phosphorus is such that it contains one electron more than can be fitted into the bonds between the phosphorus atoms and the atoms of, say, silicon. If a small voltage is applied to a silicon crystal doped with phosphorus, this electron will move, creating a current of negative charges. (The charge of an electron is, by convention, taken as negative.) Conversely, if an element like boron is inserted into the silicon lattice, an electron deficiency is created—what is known as a hole. When a voltage is applied, an electron from an atom of silicon will move to fill in the hole, and this will leave yet another hole. This progression of holes cannot be distinguished in its effects from a current of positive charges. To make transistors, one constructs sandwiches of n-type and p-type doped crystals. The great advantage of the transistor is that the electrons will respond to small amounts of electric power. In the old vacuum tubes, it took a lot of power to get the electrons to move, and a lot of waste heat was generated. Moreover, the transistor can be miniaturized, since all of its activity takes place on an atomic scale. The first commercial transistor radios appeared on the market in 1954. They were manufactured by the Regency division of Industrial Development Engineering Associates, Inc., of Indianapolis (and were not, as it happened, a commercial success). By 1959, the Fairchild Semiconductor Corporation had developed the first integrated circuit. In such a circuit, a chip of silicon is doped in certain regions to create many transistors, which are connected to one another by a conducting material like aluminum, since aluminum is easier than, say, copper to attach to the silicon. In 1961, the Digital Equipment Corporation marketed the first minicomputer, and in 1963—first in Britain and then in the United States—electronic pocket calculators with semiconductor components were being manufactured, although it was not until the nineteen-seventies that mass production brought the costs down to where they are now. Still, the developments in computer hardware do not in themselves account for the ubiquity of computers in contemporary life. Parallel to the creation of this technology has been a steady evolution in the way people interact with machines. Herman Goldstine, who helped to design both the ENIAC, at the University of Pennsylvania, and the von Neumann computer, at the Institute for Advanced Study, points out in his book “The Computer from Pascal to von Neumann” that the von Neumann computer had a basic vocabulary of twenty-nine instructions. Each instruction was coded in a ten-bit expression. A bit is simply the information that, say, a register is on or off. There was a register known as the accumulator in the machine, and it functioned like a scratch pad. Numbers could be brought in and out of the accumulator and operated on in various ways. The instruction “Clear the accumulator”—that is, erase what was on the register—was, to take one example, written as the binary number 1111001010. Each location in the machine’s memory had an “address,” which was also coded by a ten-digit binary expression. There were a thousand and twenty-four possible addresses (210 = 1,024), which meant that the Institute’s machine could label, or address, a thousand and twenty-four “words” of memory. This meant “Clear the accumulator and replace what had been stored in it by whatever number was at the address 0000001010.” Obviously, a program written for this machine would consist of a sequence of these numerical phrases, and a long—or even not so long—program of this sort would be all but impossible for anyone except, perhaps, a trained mathematician to follow. It is also clear that if this situation had not changed drastically few people would have learned to program computers. By the early nineteen-fifties, the first attempts to create the modern programming languages were under way. In essence, these attempts and the later ones have involved the development of an understanding of what one does—the steps that one follows—in trying to solve a problem, and have led the workers in this field to a deeper and deeper examination of the logic of problem-solving. Initially, the concentration was on the relatively simple steps that one follows in doing a fundamental arithmetic problem, like finding the square root of a number. It became clear that certain subroutines or subprograms—such as a routine for addition—came into play over and over. Once these subroutines were identified, one could make a code—what is called a compiler—that would automatically translate them into machine language every time they were needed in a computation. J. Halcombe Laning and Neal Zierler, at M.I.T., and, independently, Heinz Rutishauser, of the Eidgenössische Technische Hochschule (Albert Einstein’s alma mater), in Zurich, were among the first to attempt this. Their work did not gain wide acceptance, however, and it was not until the late fifties, after a group led by John Backus, a computer scientist with I.B.M., had developed FORTRAN, that computers became widely accessible. Some years ago, I had an opportunity to discuss the development of FORTRAN with Backus. He told me that he and his group had proceeded more or less by trial and error. A member of the group would suggest a small test program, and they would use the evolving FORTRANsystem to translate it into machine language to see what would happen. They were constantly surprised by what the machine did. When the system was fairly well advanced, they began to race their FORTRAN-made programs against machine-language programs produced for the same job by a human programmer. They used a stopwatch to see which program was faster. If theFORTRAN-made programs had turned out to be substantially slower, they could not have become a practical alternative to their man-programmed machine-language competitors. 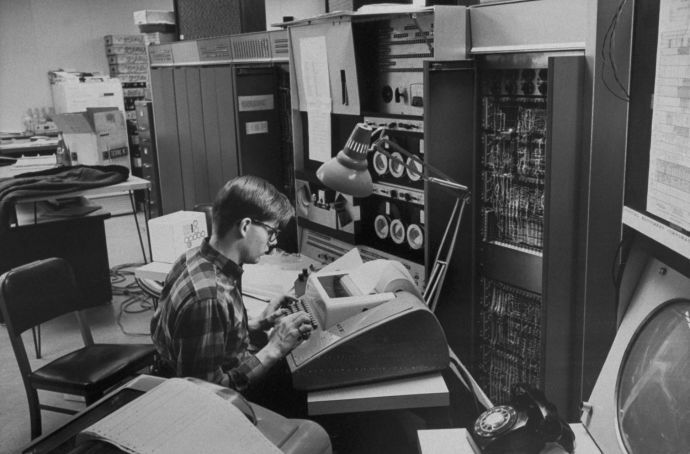 It took Backus and his group two and a half years to develop FORTRAN; it was completed in 1957. In a 1979 Scientific American article, Jerome A. Feldman, chairman of the computer-science department at the University of Rochester, noted that in the United States alone there were at that time more than a hundred and fifty programming languages used for various purposes. For simple numerical computations, most of these languages work almost equally well; in fact, BASIC(for “beginner’s all-purpose symbolic instruction code”), which was developed by a group at Dartmouth in 1963-64, is the most widely available language for small home computers, and will enable people to do about anything that they want to do with such a computer. (What most people seem to want to do with these computers is play games on them, and the programs for games come ready-made.) These small computers have very little memory—at most, sixty-five thousand eight-bit words—and so cannot fully exploit the most advanced computer languages, although simplified versions of some high-level languages are available. The differences begin to be felt in the complex programs needed in the field of artificial intelligence. For these programs, FORTRAN and BASICare simply not sophisticated enough. When FORTRAN was first invented, computer memory cost over a dollar per memory bit. Today, one can buy a sixty-five-thousand-bit memory-circuit chip for around six dollars—so memory is about ten thousand times as cheap now. The next generation of personal computers should give their users the most advanced computer languages. But someday, according to Minsky, the most useful programs for personal computers will be based on artificial-intelligence programs that write programs of their own. The idea is for an ordinary person—not a programmer—to describe what he wants a program to do in informal terms, perhaps simply by showing the program-writing program some examples. Then it will write a computer program to do what was described—a process that will be much cheaper than hiring a professional programmer. Between machine language and compilers, there is another level of computer-language abstraction—assemblers—which was developed even before the compilers. In an assembly-language instruction, instead of writing out a string of binary digits that might tell the machine to add two numbers one can simply write “ADD” in the program, and this will be translated into machine language.FORTRAN is one step up from this in sophistication. In any computation, the next step will often depend on the result of a previous step. If one number turns out to be larger than another, one will want to do one thing, and in the opposite case another thing. This can be signalled in a FORTRAN program by the instruction “IF” followed by instructions for what to do in either of the alternative cases—a marvellous simplification, provided that one knows in advance that there are two cases. In a chess-playing program, one might well get into a situation in which the number of cases that one would like to examine would depend on one’s position on the board, which cannot be predicted. One would thus like the machine to be able to reflect on what it is doing before it proceeds. In the late nineteen-fifties, a new class of languages was developed to give computers the capacity for reflection. The instructions in these languages interact creatively with the machine. When I asked Minsky about these languages, he said, “In an ordinary programming language, like FORTRAN or BASIC, you have to do a lot of hard things to get the program even started—and sometimes it’s impossible to do these things. You must state in advance that in the computer memory certain locations are going to be used for certain specific things. You have to know in advance that it is going to use, say, two hundred storage cells in its memory. A typical program is made up of a lot of different processes, and in ordinary programs you must say in advance how each of these processes is to get the information from the others and where it is to store it. These are called declarations and storage allocations. Therefore, the programmer must know in advance what processes there will be. So you can’t get a FORTRAN program to do something that is essentially new. If you don’t know in advance what the program will do, you can’t make storage allocations for it. In these new languages, however, the program system automatically creates space for new things as the program creates them. The machine treats memory not as being in any particular place but, rather, as consisting of one long string, and when it needs a new location it just takes it off the beginning of the string. When it discovers that some part of the program is not being used, it automatically puts it at the end of the string, where it can be used again if it is needed—a process that is known in the computer business as garbage collection. The machine manipulates symbols, and not merely numbers. It is much closer to using a natural language.” One remarkable feature of these new list-processing languages is that they can be used to design other new languages. A list-processing program can be designed to read and write list-processing programs, and so generate new programs of essentially limitless complexity. The development of the list-processing languages derived from attempts to carry out two of the classic problems in artificial intelligence: the use of machines to play games like chess and checkers, and the use of machines to prove theorems in mathematics and mathematical logic. Many of the programming ideas in the two domains are the same. The first significant modern paper on chess-playing programs was written in 1950 by Claude Shannon, then at the Bell Labs, who later, in the sixties and early seventies, preceded Minsky as the Donner Professor at M.I.T. The basic element in Shannon’s analysis—and in all subsequent analyses, including those that have made possible the commercially available chess-playing machines—is a set of what scientists call game trees; each branching of a game tree opens up new possibilities, just as each move in a chess game creates more possible moves. A player opening a chess game has twenty possible moves. On his second play he can have as many as thirty. As play progresses, the number of possible combinations of moves expands enormously. In a typical game, all future possible positions would be represented by a number on the order of 10120—an absurdly large number. If a computer could process these possibilities at the rate of one per billionth of a second, it would take 10111 seconds to run the entire game tree for a single chess game. But the universe is only about 1017 seconds old, so this is not the way to go. (In checkers, there are only 1040 possible positions, which at the same rate would take 1022 centuries—or 1031 seconds—to consider.) Obviously, the human player can consider only a minute fraction of the branches of the tree of continuations resulting from any given chess move, and the computer must be programmed to do the same. While Shannon did not actually write a computer program for making such considerations, he did suggest a framework for a program. First, one would choose a depth—two or three moves—to which one would analyze all legal moves and their responses, and one would evaluate the position at the end of each of these moves. On the basis of evaluations, one would choose the move that led to the “best” final configuration. In a position where there are, say, three legal moves, white may find that one move will lead to a draw if black makes his best move; in another of the three moves, white will lose if black does what he is supposed to do; and in the third possible move white will win if black misplays but will lose if black plays correctly. In such a situation, Shannon’s procedure would call for white to make the first of the three moves—an assumption that would guarantee a draw. In reality, matters are rarely as cut and dried as this, so more complicated criteria, such as material mobility, king defense, and area control, have to be introduced and given numerical weights in the calculation, and Shannon suggested procedures for this. In 1951, the British mathematician Alan Turing—who after von Neumann was probably the most influential thinker of this century concerning the logic of automata—developed a program to carry out Shannon’s scheme. Since he did not have a computer to try it on, it was tried in a game in which the two players simulated computers. It lost to a weak player. In 1956, a program written by a group at Los Alamos was tried on the MANIAC-Icomputer. Their program, which involved a game tree of much greater depth, used a board with thirty-six spaces (the bishops were eliminated) instead of the board of sixty-four spaces that is used in real chess. The computer beat a weak player. The first full chess-playing program to be run on a computer was devised by Alex Bernstein, a programmer with I.B.M., in 1957. Seven plausible moves were examined to a depth of two moves each, and the program played passable amateur chess. It ran on the I.B.M. 704 computer, which could execute forty-two thousand operations a second, compared with eleven thousand operations a second by the MANIAC-I. The reason why problems are problems is that the original set of possible solutions given to the problem-solver can be very large, the actual solutions can be dispersed very widely and rarely throughout it, and the cost of obtaining each new element and of testing it can be very expensive. Thus the problem-solver is not really “given” the set of possible solutions; instead he is given some process for generating the elements of that set in some order. This generator has properties of its own, not usually specified in stating the problem; e.g., there is associated with it a certain cost per element produced, it may be possible to change the order in which it produces the elements, and so on. Likewise the verification test has costs and times associated with it. The problem can be solved if these costs are not too large in relation to the time and computing power available for solution. The Logic Theorist was run on a computer at Rand that was a copy of the von Neumann machine at the Institute for Advanced Study and that Rand had named, over the objections of von Neumann, the JOHNNIAC. The program was able to supply proofs of some fairly complex theorems, though it failed with others. To program the JOHNNIAC, Newell, Shaw, and Simon used their newly invented I.P.L., which was the forerunner of the list-processing languages. In 1958, they wrote their chess program in a later model of this language called I.P.L.-IV for the JOHNNIAC, and they subsequently described its performance as “good in spots.” However, most current chess programs are written in machine language rather than in any of the list-processing languages (including LISP), for reasons of speed and economy of memory. Chess players who compete in tournaments are given a numerical point rating. At present, the mean rating of all the United States tournament players is 1,500. Anatoly Karpov, who is the world champion, is rated by the World Chess Federation at 2,700. The best current chess program is Belle, which was developed by Ken Thompson and Joe Condon, of the Bell Labs, followed closely by the chess programs of Northwestern University—Chess 4.9, designed by David Slate and Lawrence Atkin, and Nuchess, designed by Slate and William Blanchard. Belle is rated at about 2,200, and Chess 4.9 at about 2,050; Nuchess has not yet played in enough tournaments to receive a rating. The microcomputer chess-playing machines that are available commercially, for between one hundred and four hundred dollars, can be set to play at various levels (some up to 1,800), but at the higher levels they take an eternity to decide on a hard move. In general, these programs do not really mimic what a human chess master can do. The human chess master can take in more or less at a glance the general structure of a position and then analyze a limited number of moves—three or four—to depths that vary greatly depending on the position. To give a famous example, when Bobby Fischer was thirteen he played a tournament game against the master Donald Byrne—a game that some people have called the greatest chess game played in this century. On the seventeenth move, Fischer sacrificed his queen, for reasons apparent at the time to no one but him. The resulting combination was so profound that it was not until twenty-four moves later that Fischer executed the mate he must have seen from the beginning. This game convinced many people—including, no doubt, Fischer—that it was only a matter of time before he became chess champion of the world. It would be fascinating to replay this game with, say, Belle taking Fischer’s role, to see if by using its methods, which could be quite different, it would have found this mate. That seems unlikely. Still, Belle now plays chess better than all but five per cent of the American tournament chess players, and there is every reason to believe that in the near future it, or some similar program, will beat all of them. At present, something of a debate is raging both within the artificial-intelligence community and outside it about what the enterprise of “artificial intelligence” really is. The most commonly accepted idea among workers in the field is that it is the attempt to produce machines whose output resembles, or even finally cannot be distinguished from, that of a human mind. The ultimate machine might by itself be able to perform all the cognitive functions, or, more modestly, many kinds of machines might be needed to perform such functions. The first question that this goal raises is what is meant by a machine. Nearly all workers in the field seem to mean some sort of digital computer when they refer to a machine. In this respect, there is a remarkable fact about computers known since the nineteen-thirties; namely, that although real computers may come in all sorts of models, there is in theory only one kind of computer. This notion derives from the pioneering work of Alan Turing, who conceived of something he called the abstract universal computer, which, in principle, can be programmed to imitate any other computer. This universal computer can do any sequence of operations that any model of computer can do. One view of the goal of artificial intelligence would be to build a computer that, by its output, simply could not be distinguished from a mind. Since human minds play games like chess and checkers, do mathematics, write music, and read books, the ideal machine would have to be able to do all of these things at least as well as human beings do them. Obviously, to make such a machine is an enormous task, perhaps an impossible one. People working in artificial intelligence, like any scientists confronted with an incredibly complex problem, have been trying to attack this task in pieces: thus the attempts to make machines—both the hardware and the necessary programs—that play games, that “understand” newspaper accounts, and that can recognize patterns. That machines can already do all of these things with varying degrees of success is certainly a fact. The debate nowadays is over what this means. Are we thereby approaching a better understanding of the human mind? It is not entirely clear what would settle the debate. Even if a humanoid machine were built, many people would certainly argue that it did not really understand what it was doing, and that it was only simulating intelligence, while the real thing lay beyond it and would always lie beyond it. Minsky feels that there is at least a possibility that this might not be true. He sees the development of artificial intelligence as a kind of evolutionary process and thinks that just as intelligence developed in animals over a long sequence of trials and improvements, the same thing might happen in a shorter time as we guide the evolution of machines. The advent of larger, faster and cheaper computers, a development that is far from reaching its end, has given us some feeling for what can be achieved by rapid computation. Unfortunately the analogy between a computer and the brain, although it is useful in some ways, is apt to be misleading. In a computer information is processed at a rapid pulse rate and serially. In the brain the rate is much lower, but the information can be handled on millions of channels in parallel. The components of a modern computer are very reliable, but removing one or two of them can upset an entire computation. In comparison the neurons of the brain are somewhat unreliable, but the deletion of quite a few of them is unlikely to lead to any appreciable difference in behavior. A computer works on a strict binary code. The brain seems to rely on less precise methods of signalling. Against this it probably adjusts the number and efficiency of its synapses in complex and subtle ways to adapt its operation to experience. Hence it is not surprising to find that although a computer can accurately and rapidly do long and intricate arithmetical calculations, a task at which human beings are rather poor, human beings can recognize patterns in ways no contemporary computer can begin to approach. While many workers in artificial intelligence might agree with Crick’s statement about patterns, it is nonetheless true that computers, in conjunction with electronic visual sensors—TV cameras, in effect—are now able to perform some interesting feats of pattern recognition. The first machine that was able to do sophisticated pattern recognition was the Perceptron, designed by Minsky’s former Bronx Science classmate Frank Rosenblatt. Working at the Cornell Aeronautical Laboratory, Rosenblatt built the prototype version of the Perceptron in 1959. A few years later, I had an opportunity to discuss with him how it worked. The machine consisted of three elements. The first element was a grid of four hundred photocells, corresponding to the light-sensitive neurons in the retina; they received the primary optical stimuli. The photocells were connected to a group of components that Rosenblatt called associator units—the second element—whose function was to collect the electrical impulses produced by the photocells. There were five hundred and twelve associator units, and each unit could have as many as forty connections to the photocells. These connections were made by randomly wiring the associators to the cells. The wiring was done randomly because it was then believed that some, and perhaps most, of the “wiring” in the brain that connects one neuron to another was done randomly. The argument for this was essentially one of complexity. Our brains gain—grow—neurons during prenatal development, until, at birth, the total may have reached forty billion or more. How do they all know where to go in the brain and elsewhere, and what to connect up to when they get there? It was argued by many early brain researchers that if this wiring was largely random the neurons wouldn’t have to know, since where an individual neuron went would not matter much. As a result of experimental work done in recent years, however, it appears that this is not in fact how things work. The connections do seem to be determined from an early stage of development, and are specific both for specific regions of the brain and for specific neurons within these regions. How the information to specify all this is processed so that the neurons do what they are supposed to do remains a mystery. But when Rosenblatt was building the Perceptron it was thought that randomness was important. The third element of Rosenblatt’s Perceptron consisted of what he called response units. An associator—in analogy to a neuron—would produce a signal only if the stimulus it received was above a certain threshold, at which point it would signal the response units. The idea was to use this structure to recognize shapes. First, the machine was shown, say, an illuminated “A,” to which it would respond in accord with its initially random instructions. Then the “A” was deformed or moved and was shown to the machine again. If it responded in the same way both times, it had recognized the “A”; if not, then some of its responses would presumably be “right” and some “wrong.” With adjustments in electronics, the wrong responses could be suppressed, and Rosenblatt’s claim was that after a finite number of adjustments the machine would learn to recognize patterns. Rosenblatt was an enormously persuasive man, and many people, following his example, began to work on Perceptrons. Minsky was not among them. Ever since his days as a graduate student, when he and Dean Edmonds built one of the earliest electronic learning machines, he had been aware of the limitations of such machines, and had come to the conclusion that it was more profitable to concentrate on finding the principles that will make a machine learn than to try building one in the hope that it would work. Minsky and Rosenblatt engaged in some heated debates in the early sixties. During my discussions with Minsky, he described what the issues were. When computers first came into use in this country, in the early nineteen-fifties, they were so expensive that they were almost exclusively the province of the large military-oriented government laboratories, like Los Alamos and the Rand Corporation—the former financed by the Atomic Energy Commission and the latter by the Air Force. The computer project at the Institute for Advanced Study, one of the few such projects that were then being carried out in an educational institution, was financed jointly by RCA, the Atomic Energy Commission, the Office of Naval Research, the Office of Air Research, and Army Ordnance. Hardly anyone imagined that within a few decades almost every major university would have a large computer and a department of computer science. A great deal of the funding for pure science in this country now comes from the National Science Foundation, whose budget is spread across all the sciences, with a small fraction of it going to computer science. The Defense Department has its Advanced Research Projects Agency, known as ARPA, whose mission is to finance technology that might eventually have some application to the military. This agency has sometimes interpreted its function as being to detect technological weaknesses in American science and to attempt to remedy them. In the early nineteen-sixties, it began to finance pure research in computer science at universities, and over half the money spent in this field since then has come from ARPA. Around 1963, following the work of McCarthy, Corbató, and their M.I.T. collaborators on computer time-sharing, Project MAC—MAC stood for both “machine-aided cognition” and “multiple-access computer”—was begun at M.I.T., with ARPA providing a budget of about three million dollars a year. About a million dollars of this went to the Artificial Intelligence Group. “In the first years, we spent this money on hardware and students,” Minsky told me. “But by the tenth year we were making our own hardware, so we spent nearly all the money on faculty and students. We assembled the most powerful and best-human-engineered computer-support system in the world—bar none.” Initially, some of the students were dropouts, who became systems engineers and, eventually, distinguished scientists. Most of them were refugees from other fields, principally mathematics and physics. From the beginning, Minsky’s goal was to use this pool of talent to learn what computers could be made to do in solving non-arithmetic problems—in short, to make these machines intelligent. For their first problem, Minsky and his students tried to program a computer to do freshman calculus. Calculus was one of the discoveries of Isaac Newton, who found that it was the best way in which to express his laws of motion. One way of applying calculus is to think of it as a sort of “infinite arithmetic,” in which one can calculate, for example, the behavior of planets by doing a great many steps of addition and multiplication. This method—called numerical integration—was one of the first things computers were used for. In fact, it was just this application that the inventors of computers had in mind for them. But there is a second way of doing calculus—this was also explored by Newton—in which one thinks of the calculus as a finite algebra, a skill that involves symbolic manipulation rather than numbers. If one can solve a calculus problem in this closed, algebraic way, one gets an answer that is not just highly accurate but perfect. Such accuracy had never been achieved on any machine, and it was this symbolic manipulation that Minsky and his students set about to program into their machines. Once the machine had Figures A and B coded into its memory, it would compare them, using such criteria as “big” and “small,” “inside” and “outside,” and “left” and “right.” It would attempt to see what operations were necessary to transform one drawing into the other. The specification of “inside” and “outside” employs a method invented in the nineteenth century. To take an example: Imagine that one is somewhere inside a circle and one draws a line due north from where one is. This line will intersect the circle once as it goes through it. But if one is below the circle and outside it and draws a line north the line either will not intersect the circle at all or will intersect it twice. There are nuances, but, in general, this procedure will tell one that one is inside a closed curve if there is an odd number of crossings and outside if there is an even number of them. This was the procedure that Evans used. 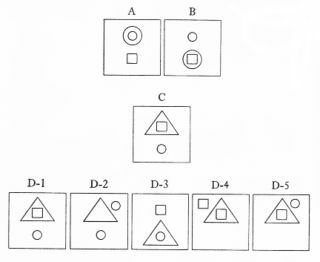 In Evans’ example, the machine would note that one of the differences between A and B is that the circle has been moved down to encase the small figure; after comparing A and B, the machine would next compare A and C. In this case, it would note that both had big figures above, and that each encased a small figure. Now the machine would try to find a diagram in the D series in which the big figure had moved down to encase the small one below it—D-3. The work on language resulted in two M.I.T. doctoral theses that have become widely known. In 1964, Bertram Raphael, a mathematics student, wrote, as part of his thesis, a program that would allow a computer to make decisions, in a limited domain, about the meaning of words within a given context. Raphael first gave a computer a sequence of statements: Every boy is a person. A finger is part of a hand. There are two hands on each person. How many fingers does John have? The gas consumption of my car is 15 miles per gallon. The distance between Boston and New York is 250 miles. What is the number of gallons of gas used on a trip between New York and Boston? 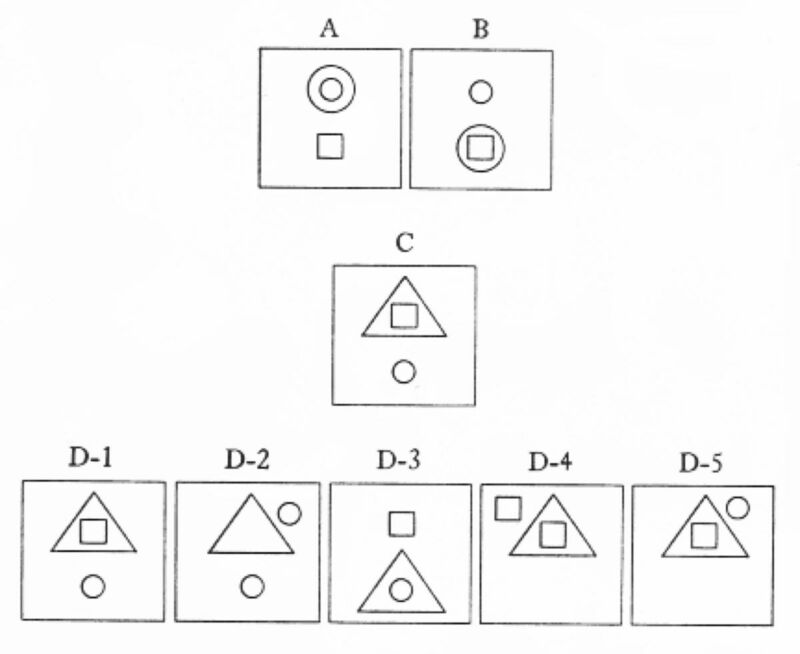 In the mid-nineteen-sixties, Minsky and Papert began working together on the problem of vision. These efforts . ultimately produced a program created by Minsky in collaboration with a group of hackers—Gerald Sussman, William Gosper, Jack Holloway, Richard Greenblatt, Thomas Knight, Russell Noftsker, and others—that was designed to make a computer “see.” To equip the computer for sight, Minsky adapted some television cameras. He found that the most optically precise one had been invented in the early nineteen-thirties by Philo Farnsworth, who was one of the early television pioneers. It was still being manufactured by ITT. Minsky ordered one and managed to get it working, but it kept blurring. He telephoned the company and was told that the best thing to do would be to talk to Farnsworth himself, who was still doing research at the company. Minsky explained his problem on the telephone, and Farnsworth instantly diagnosed it. Minsky then fixed the blurring and attached the camera to a PDP-6 computer. The idea was to connect this camera to an arm so that one could tell the computer to pick up objects that its eye had spotted and identified. The arm was then to do various things with the objects. In the course of this, Minsky designed a mechanical arm, powered by fourteen musclelike hydraulic cylinders. It had a moving shoulder, three elbows, and a wrist—all not much thicker than a human arm. When all the bugs were finally out and the machine was turned on, the hand would wave around until the eye found it. “It would hold its hand in front of its eye and move it a little bit to see if it really was itself,” Minsky said. The eye had to find itself in the coördinate system of the hand. Despite all the problems, they were able to get the arm to catch a ball by attaching a cornucopia to the hand, so that the ball would not fallout. It would sometimes try to catch people, too, so they finally had to build a fence around it. The project turned out to be much more difficult than anyone had imagined it would be. In the first place, the camera’s eye, it was discovered, preferred to focus on the shadows of objects rather than on the objects themselves. When Minsky and his colleagues got that straightened out, they found that if the scene contained shiny objects the robot would again become confused and try to grasp reflections, which are often the brightest “objects” in a scene. To solve such problems, a graduate student named David Waltz (now a professor of electrical engineering at the University of Illinois at Urbana) developed a new theory of shadows and edges, which helped them eliminate most of these difficulties. They also found that conventional computer-programming techniques were not adequate. Minsky and Papert began to try to invent programs that were not centralized but had parts—heterarchies—that were semi-independent but could call on one another for assistance. Eventually, they developed these notions into something they called the society-of-the-mind theory, in which they conjectured that intelligence emerges from the interactions of many small systems operating within an evolving administrative structure. The first program to use such ideas was constructed by Patrick Winston—who would later succeed Minsky as director of the A.I. Laboratory. And by 1970 Minsky and his colleagues had been able to show the computer a simple structure, like a bridge made of blocks, and get the machine, on its own, to build a duplicate. At about the same time, one of Papert’s students, Terry Winograd, who is now a professor of computer science and linguistics at Stanford, produced a system called SHRDLU. (On Linotype machines, operators used the phrase “ETAOIN SHRDLU” to mark a typographical error.) SHRDLU was probably the most complicated computer program that had ever been written up to that time. The world that Winograd created for his SHRDLU program consisted of an empty box, cubes, rectangular blocks, and pyramids, all of various colors. To avoid the complications of robotics, Winograd chose not to use actual objects but to have the shapes represented in three dimensions on a television screen. This display was for the benefit of the people running the program and not for the machine, which in this case was a PDP-10 with a quarter of a million words of memory. The machine can respond to a typed command like “Find a block that is taller than the one you are holding and put it into the box” or “Will you please stack up both of the red blocks and either a green cube or a pyramid?” When it receives such a request, an “arm,” symbolized by a line on the television screen, moves around and carries it out. The programming language was based on one named PLANNER, created by Carl Hewitt, another of Papert’s students.PLANNER, according to Minsky, consists largely of suggestions of the kind “If a block is to be put on something, then make sure there is room on the something for the block to fit.” The programmer does not have to know in advance when such suggestions will be needed, because the PLANNER system has ways to detect when they are necessary. Thus, the PLANNER assertions do not have to be written in any particular order—unlike the declarations in the ordinary programming languages—and it is easy to add new ones when they are needed. This makes it relatively easy to write the language, but it also makes it extremely difficult to anticipate what the program will do before one tries it out—“so hard,” Minsky remarked, “that no one tries to use it anymore.” He added, “But it was an important stepping stone to the methods we use now.” One can ask it to describe what it has done and say why it has done it. One can ask “Can a pyramid be supported by a block?” and it will say “Yes,” or ask “Can the table pick up blocks?” and it will say “No.” It is sensitive to ambiguities. If one asks it to pick up a pyramid—and there are several pyramids—it will say “I don’t understand which pyramid you mean.” SHRDLU can also learn, to a certain extent. When Winograd began a question “Does a steeple—” the machine interrupted him with “Sorry, I don’t know the word ‘steeple.’ ” It was then told that “a steeple is a stack which contains two green cubes and a pyramid,” and was then asked to build one. It did, discovering for itself that the pyramid has to be on top. It can also correctly answer questions like “Does the shortest thing the tallest pyramid’s support supports support anything green?” Still, as Douglas Hofstadter, in his book “Gödel, Escher, Bach,” points out,SHRDLU has limitations, even within its limited context. “It cannot handle ‘hazy’ language,” Hofstadter says. If one asks it, for example, “How many blocks go on top of each other to make a steeple?” the phrase “go on top of each other” —which, despite its paradoxical character, makes sense to us—is too imprecise to be understood by the machine. We use phrases like this all the time without being conscious of how peculiar they are when they’re analyzed logically. What are we to make of a program like SHRDLU? Or of one likeHEARSAY—designed by Raj Reddy, a former student of McCarthy’s at Stanford and now a professor of computer science at Carnegie-Mellon—which, on a limited basis, began to understand speech? Do these programs bring us closer to understanding how our minds work, or are they too “mechanistic” to give us any fundamental insight? Or is what they show, perhaps, that the closer we get to making machine models of ourselves, the less we begin to understand the functioning of the machines? Minsky and I discussed these questions at length, and also the question of whether the fact that we are beginning to learn to communicate with machines might help to teach us to communicate with one another or whether our sense of alienation from the machines will grow as they begin to perform more and more in domains that we have traditionally reserved for ourselves. What would it mean to understand the mind? It is difficult to believe that such an understanding would consist of an enumeration of the brain’s components. Even if we had a diagram that included everyone of the billions of neurons and the billions of interconnections in the human brain, it would stare at us as mutely as the grains of sand in a desert. But this is the way—for most of us, at least—that a high-resolution microscope photograph of a silicon computer chip appears. Such a photograph, though, does not truly show the components—the atoms and the molecules. On the chip, these have been organized into functional units—memory, logic circuits—which can be understood and described. Minsky and others working in this field believe that in time the functional parts of the brain will be identified and their function described in language we can understand. Still, these people seem certain that the description, whatever it turns out to be, will not be like the great unifying descriptions in physics, in which a single equation, or a few equations, derived from what appear to be almost self-evident principles, can describe and predict vast realms of phenomena. Will the ultimate description of the brain resemble the description of a machine—in particular, that of a computer? The nervous systems of living organisms have been evolving on earth for more than three billion years, while the computer revolution has taken place only over the past forty years. We simply do not yet fully understand what computers can be made to do, and until this is clearer we cannot be sure what the final comparisons between mind and computer may be. Minsky paused, and then went on, “There is another side to this which occurred to me recently. I have often wondered why most people who learn a foreign language as adults never learn to speak it without an accent. I made up a little theory about that. What is a mother trying to do when she talks with her baby? What is her goal? I don’t think that it is to teach the baby English or some other adult language. Her goal is to communicate with the baby—to find out what it wants and to talk it out of some silly demands that she can’t satisfy. If she could really imitate the baby—speak its language without an accent—she would. But she can’t. Children can learn to speak their parents’ language without an accent, but not vice versa. I suspect there is a gene that shuts off that learning mechanism when a child reaches sexual maturity. If there weren’t, parents would learn their children’s language, and language itself would not have developed. A tribe in which adults lost their ability to imitate language at sexual maturity would have an evolutionary advantage, since it could develop a continuous culture, in which the communication between adult and child went in the right direction.